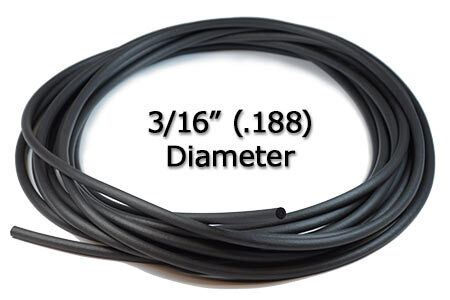 Use this 3/16" gasket cord for 3rd party systems or for your own vacuum fixtures. Our premium gasket cord is formulated to be oil and coolant compatible. Works well with cnc woodworking routers too. Sold in 25 foot lengths. Recommended slot width is .188" wide by .140" deep.